The construction of the Shivaji memorial statue off the Mumbai Coast will continue to be in limbo as the Supreme Court on Thursday turned down a plea by the Maharashtra government to grant early hearing for its petition seeking lifting of the stay. “We can’t let Maharashtra jump the queue,” Chief Justice Ranjan Gogoi told Sr Adv Mukul Rohatgi representing the state of Maharashtra. 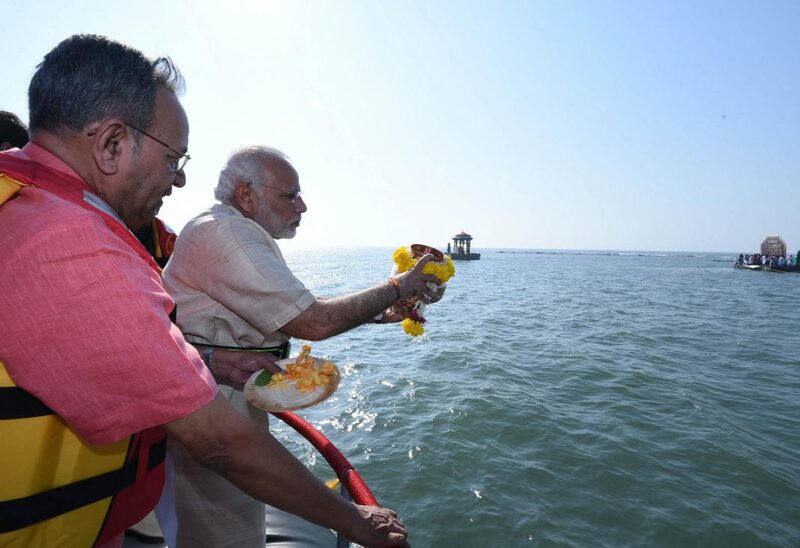 The foundation stone for the statue as also the Statue of Unity of Sardar Patel in Gujarat and the Chhatrapati Shivaji Maharaj statue project in the Arabian sea off the Mumbai coast were laid by Prime Minister Narendra Modi. While the first was inaugurated two months ago, there are doubts whether Mumbai statue will ever be completed. Last month, a bench of the Supreme Court, consisting of Chief Justice Ranjan Gogoi and Justice Sanjay Kishan Kaul had ordered construction to be stopped and issued notice to Maharashtra and the centre while hearing a Special Leave Petition (SLP) against the Bombay High Court’s refusal to stay the construction of the Shivaji memorial at Mumbai’s coast. The SLP was filed by the NGO, Conservation Action Trust, and activist Debi Goenka. It sought a stay on the environment clearance and the commencement of construction of the memorial. The Shivaji memorial is a project of the state government in the memory of the Maratha warrior-king Shivaji. Many environmentalists view that the construction would lead to degradation of the marine ecosystem and loss of livelihood to the adjoining fishing community. Earlier nine environmentalists had filed a PIL in the High Court criticising the government for spending Rs 3,600 crore on the memorial at a time when the state is facing paucity of funds. It was argued by the petitioners that the construction of the statue would lead to unemployment of as many as 16,000 fishermen, with the area being declared as no fishing zone. But VA Thorat, the senior counsel appearing on behalf of the state, said that the statue would be an asset to the state and all environmental clearances have been issued after examining every aspect, be it environmental or other safety concerns. The Ministry of Environment, Forest and Climate Change (MoEF&CC) by a notification dated February 17, 2015 had inserted clause (D) in the Coastal Regulation Zone rule which allowed the centre to dispense with any public hearing related to assurance that the project would not involve rehabilitation and resettlement of people and is located away from public habitation. The NGO had objected to this notification of MOEF&CC which was decided without a public hearing. The bench refusing to pass a stay on the work of the memorial said that the decision to construct the statue was a policy decision of the government and it must have taken into consideration all issues, including the expenditure to be incurred in construction. After the Supreme Court’s notice, the state public works department had asked the contractor to stop further work on the statue.